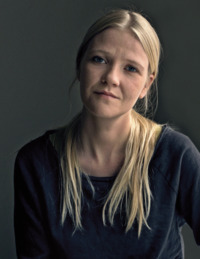 KRISTIN EIRIKSDOTTIR (b.1981) made her mark on the literary scene in a big way with her collection of short stories, Doris Dies in 2010. Critics agreed that a new, fully-fledged author had arrived with one of the most significant works of fiction of the year. Her voice is strong and importunate – one of the most original of her generation. Is this you? Let us know. If not, help out and invite Kristín to Goodreads.